Since v1.1: The DATE of the last purchase will be shown! 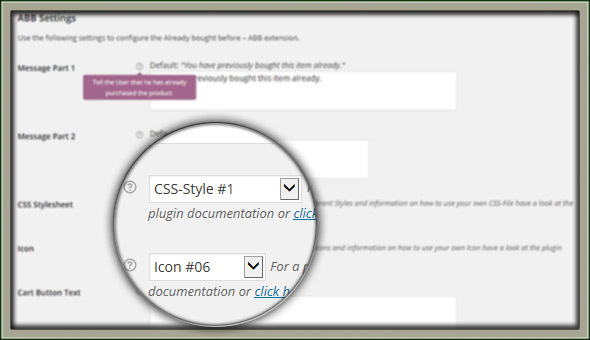 This Plugin works with WooCommerce 2.4.x and WordPress 4.x without restrictions. viewing at the moment (when he’s on a single Product Page). display a Message for him to draw his attention on this fact. 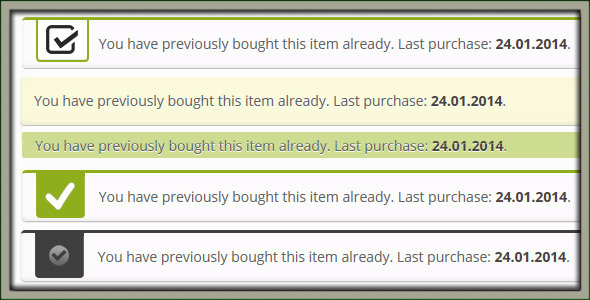 sure your user still can purchase the item again! the item the user is currently viewing). current product is already in the users cart. to use by you are included. You may also upload your own or don’t use any Icon. Just as you need it. Settings Page in the Backend! predefined Styles ready to use. Or let the Style of Messages defined by the Theme you use make the job. Or upload your own CSS File and use this! Just as you want! All this you can change via Settings Page. If your Theme is responsive – our Plugin is responsive, too! your language! German language already included (de_DE *.po + *.mo files). 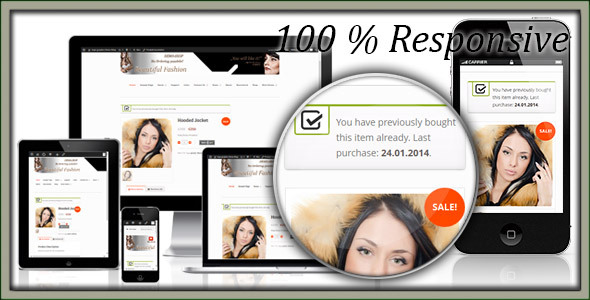 We will give you free support on this Plugin.